Yes, a view like that is inspirational. It was a peaceful setting where I could devote attention to story ideas and to my writing. We also had workshops with fabulous writing coach Margie Lawson, whose deep editing techniques are well-worth studying. We took brainstorming walks along the back roads flanked with vineyards and flowers in bloom. One of those walks even launched a new idea for a series I’m super-excited to start writing. This trip solidified my growing belief that new experiences make you a better writer. That could be visiting a museum in your city or it could involve an intercontinental flight and staying a countryside château in France. I’m definitely partial to travel—because you also experience a different setting and culture—but stepping outside your comfort zone matters most. Now if you’re going to write about some place you haven’t been, I do suggest scheduling a visit. Because my pictures show only a snippet of my experience in France, which included the language, the food, the smells, the textures, the people, and much more. There’s no perfect substitute for being there. But regardless, get out and experience new things. Hang out with other writers in various parts of their journey. Learn about writing craft and the publishing business from experts, like Margie and the others—which at this retreat included an agent, an editor, a literary translator, and a Kobo representative. If you’re looking for an opportunity to see more, do more, learn more, check out the next trip planned by Cruising Writers. I’ll be on this September cruise headed to Grand Cayman, Jamaica, and Cozumel, along with writing experts Lisa Cron (author of Wired for Story and Story Genius) and Angela Ackerman (author of The Emotion Thesaurus, The Setting Thesaurus, and much more). It is a word mentioned many times in Wired for Story by Lisa Cron, a writing craft book that I have been reading. I lack one measly chapter to be at the end, and I would definitely recommend this book to other writers. It packs a lot of brain science and perspective on story into its 238 pages. One of the book’s themes is that readers basically get a high from anticipating what will happen next, attempting to find patterns and solve the puzzle. Thus, everything in the book should be helping the reader to anticipate–to draw conclusions about characters, to imagine possible future choices and consequences, and even to get in on the secret and wonder when the characters will figure out what the writer and reader both know. There’s a lot more to Wired for Story, but anticipation is the word that’s been sticking in my head as I jumped into rewriting my YA novel last week. Anticipation is also a great word for today because we are officially between rounds in A Round of Words in 80 Days (aka ROW80). The next round begins October 1. While I will continue to work on my writing goals, I and others are anticipating the start of a new round. Some who have participated throughout the year will keep truckin’ along. Some who took a summer break will jump back in. Some who have never tried this writing challenge will join us. I have benefitted from the goal-setting, progress updates, encouragement, and community of ROW80, so I would recommend giving it a shot if you haven’t already. Edit 50 pages per week of my young adult contemporary novel, SHARING HUNTER MILLS. Send one agent query per week for SHARING HUNTER MILLS. Finish reading Christopher Vogler’s The Writer’s Journey: Mythic Structure for Writers. Check in with ROW80 participants according to my role as a sponsor for Round 3. Edited SHARING HUNTER MILLS and then realized I needed to go back to the level of rewriting. However, I have plunged in with both feet and am making real progress now. I do think it’s improving the novel to change the POV and tense, but this is requiring some merging of characters, moving scenes around, and more. I sent six queries, and the specific feedback from two of those agents helped prompt me to reconsider my approach to the novel. And thus, the rewriting. So this goal was put on hold. 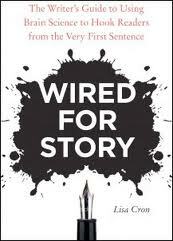 I finished The Writer’s Journey by Christopher Vogler, read Revision & Self-Editing by James Scott Bell, and read all but one chapter of Wired for Story by Lisa Cron. I was sporadic, at best, with my exercise routine. I checked in with my ROW80 buddies all but two weeks. However, this last week, I checked in on EVERYONE who posted an update on Sunday. I was pleased to see that some had knocked it out of the park and even those who felt like their round fell short of a home run had at least a double or better to show for their commitment to specific writing goals. Yay, y’all! And the final nod to today’s word, anticipation, comes from Carly Simon. Because your happy anticipation of “finer days” should never hinder you enjoying the moment you’re in right now. Savor it. Now if you want to join this next Round of Words in 80 Days, click HERE and State Your Intent. You don’t need specific goals yet; just add your website to the list.